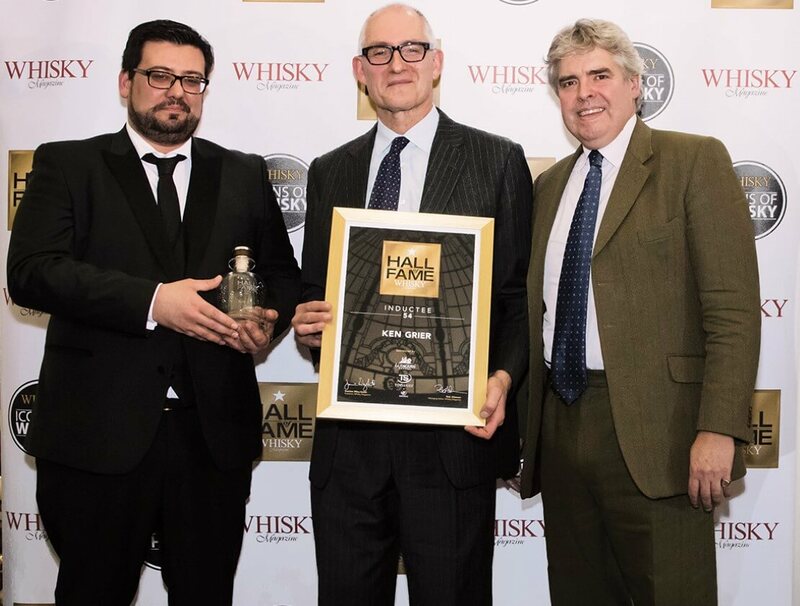 Ken Grier's induction to the Whisky Magazine Hall of Fame in December 2018, accompanied by Bruno Santos (left) of Amorim Top Series, and Damian Riley-Smith (right), publisher of Whisky Magazine. One meeting with Ken Grier is enough to tell you that he’s not the kind of guy who sits on an idea. Exuding a restless energy, he speaks with such a degree of knowledge and conviction that one can’t help but pay attention. Ken has a seemingly insatiable appetite for data, opinion, art, side projects and risk-taking. In the course of our short interview, he mentions attending two conferences in as many months, one on how AI will disrupt retail and another focussed on how to pitch luxury to millennials; how he casually read a copy of Annie Leibovitz’ 247-page Women, gifted to him by the author, in one night so he could talk to her about it the next morning; and how the Macallan M decanter was the result of him making a $100,000 wager with Fabien Baron. “I believe that if you can dream it you can do it,” he tells me with sincerity. “I believe in innovation and great ideas. I believe in being highly distinctive.” And distinctive he most certainly is. It would be easy to characterise Grier as part Willy Wonka, part Hank-Scorpio-esque mastermind. 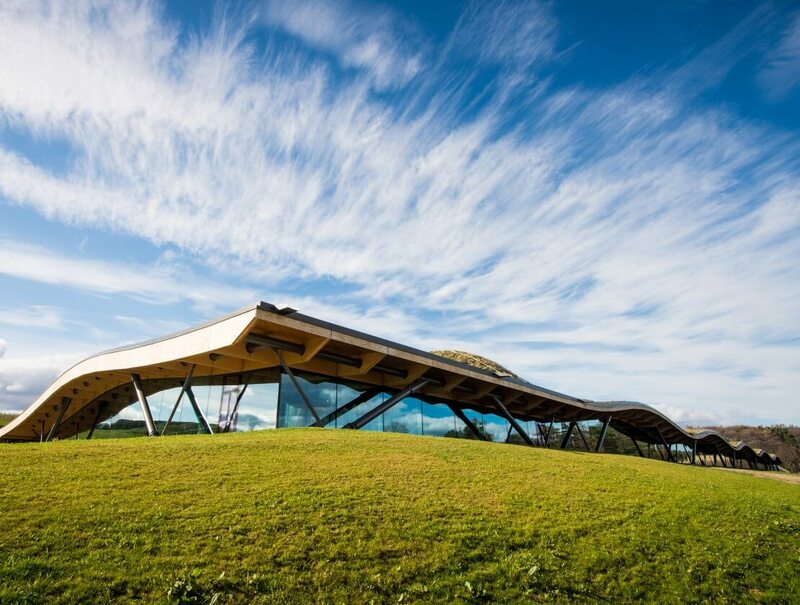 This is, after all, the man who envisioned the new Macallan Distillery as the volcano base in You Only Live Twice. 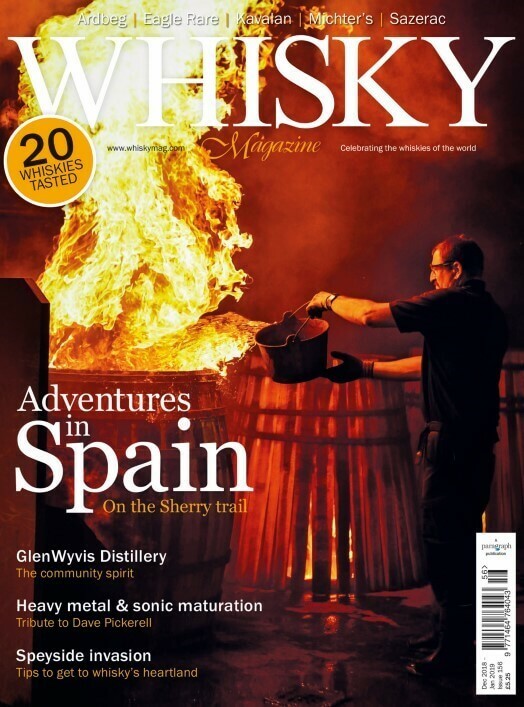 Yet, if one listens closely and can keep up, it’s apparent that Ken is simply passionate about the subjects he loves – especially whisky and photography – in an endearingly earnest way. Now running his own brand growth consultancy, De-Still Creative, just months ago Ken stepped down from his role as creative director of The Macallan. This departure marked the end of a 20-year career with The Edrington Group, having joined Highland Distillers in the late 1990s. This move into the world of whisky followed a stint as Head of UK Marketing at Lego Group, five years with United Biscuits, and time at HP Bulmer and Strongbow. After a brief spell looking after the company’s commercial interests in Europe, he was named as malts marketing director and before long was launching a new range for The Macallan. After a brief spell looking after the company’s commercial interests in Europe, he was named as malts marketing director and before long was launching a new range for The Macallan. With sales far outpacing the distillery’s ability to lay down and bottle the sherry-cask-matured stock for which it was famous, a new direction would be needed for the brand to grow. “I can always remember coming up with the Fine Oak idea,” he recalls. “We didn't want to buy back stock, mix it all together and have a new core [style].” Instead, Grier put forward the idea that an entirely new range, with an American-oak led character, should be launched to complement the core ‘sherried’ Macallan expressions. However, to pull it off would require a £60 million stock buy-back to supply a commercially untested product. The final decision would be made following a presentation to the board at The Macallan’s brand home, Easter Elchies House. Unfortunately, then-Chairman, Ian Good was delayed by bad weather on the road to Speyside. This new direction came shortly after the launch of Fine & Rare, an early 2000s project that saw the release of some of the distillery’s oldest stock, which was spearheaded by David Cox, Director of Fine & Rare, and Jason Craig, now brand director of Highland Park. Records were broken yet again in 2018 when Bonham’s Hong Kong sold a bottle of The Macallan 1926 60 Years Old with a label by Valerio Adami for £814,081 — a record that the Edinburgh branch promptly broke a few months later by selling an identical bottle for £848,750. 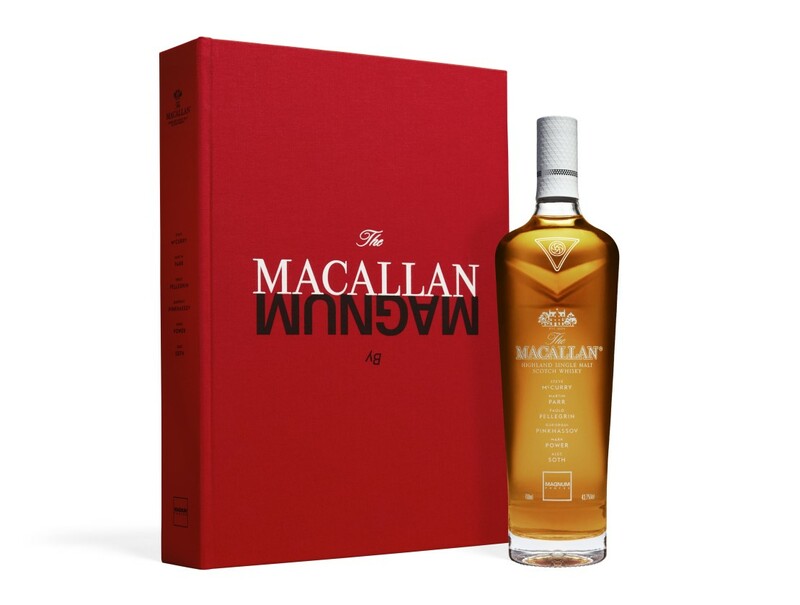 Unsurprisingly, The Macallan tops the Whisky Magazine auction index, more often than not, and, according to analysts at Rare Whisky 101, the brand holds 34.4 per cent of the auction market by value — more than the next nine brands combined. During Grier’s time on the brand, the Macallan brand grew “seven or eight times” over. He believes this is the result of presenting great liquid in a great bottle, but also the fruit borne by daring to run with unique campaigns and category-transcending side projects that attracted attention from the mainstream media and collectors alike. “People call me a creative genius or shaman (I'm not sure what I am), but I just love ideas and I love different stuff. To do things that gets noticed is really important. But also things that are aesthetically beautiful, things that are layered, things that are thoughtful, things that always link back to the whisky,” he explains. It was this philosophy that informed the launch of The Macallan’s Masters of Photography initiative in 2008, which saw the brand collaborate with Scottish-born photographer Rankin. The ‘Spiritual Home’ project, as it came to be known, saw more than 4,000 shots taken over a few days and, raising a few eyebrows in the industry, many of these were tasteful nudes of Rankin’s partner posing around the distillery. “I'd not actually told anybody I was doing this and my wife said, ‘You know, you will finally get fired.’ So I went to see Fraser Morrison, the company secretary, and he went white,” Ken recalls with a laugh. However, after taking the results to the CEO, Portman Group and the SWA, the project was cleared to go ahead. Exactly 1,000 special-edition bottles of 30-years-old spirit were released, each bearing a single Rankin image on the label and accompanied by an original polaroid. Next came collaborations with Albert Watson (The Wood Journey), Annie Leibovitz (The Feeling), Elliot Erwitt (The People), Mario Testino (The Six Pillars), and Steven Klein (Time). Recently, the six Magnum Photographers have captured the new distillery on film, bringing the Masters of Photography project full circle.